Your shipping charge will be based on the weight of your order, the distance shipped, and the method you select when ordering (Next Day Air, 2nd Day Air or Ground). This includes items shipped in multiple boxes and/or from multiple locations. We charge standard FedEx rates. If you believe a package received from us was damaged in transit, please refuse shipment and tell the carrier that you are refusing delivery because the package is damaged. Then call Climate Doctors Customer Service 877-569-4822 to inform us of the situation. If you are not present at the time of delivery and cannot refuse shipment, please call Customer Service to make arrangements to return the damaged order. Your original shipping charge will only be refunded for a item sent to you in error. This refund will be credited once we receive and inspect the part. Please see the return policy for further details. We will also pay for return shipping for a part that was damaged in shipping. If you believe you qualify and would like us to pay for return shipping, you must email us or call us at 877-569-4822 before attempting to return the part. COD shipments will not be accepted. We currently ship to any address in the United States and International, including APOs, FPOs and PO Boxes. 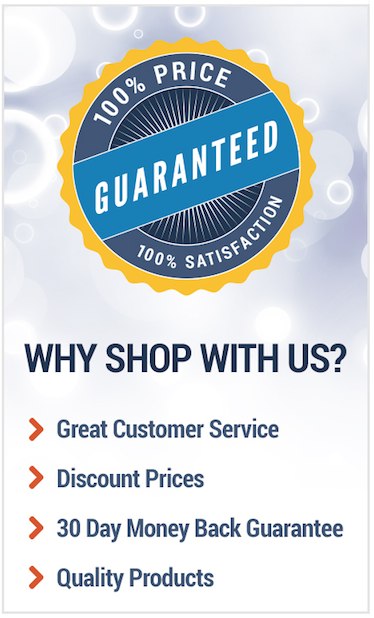 Our goal is to offer you the fastest and lowest-cost shipping method. We use several shipping carriers including FedEx and United States Postal Service (USPS) and UPS standard to Canada. We will automatically select the lowest priced carrier when you submit your order so that you receive the best possible price and delivery time at our discretion. Orders shipped to APO, FPO and PO Boxes are automatically sent via USPS. We do require a signature for FedEx or USPS shipments over a set amount. Some over sized or special handling orders will need to be shipped via Common Carrier. The shipping charge and approximate shipping time will be noted at Checkout. Delivery of over sized or special handling orders will require an adult signature at the time of delivery. For multiple-item orders, we attempt to ship the whole order from the location closest to you. This is not always possible due to the items selected, availability of the parts, and the time it takes to receive some special order items from a manufacturer. When it is not possible to ship your entire order from a shipping center closest to you, we will split the order and ship from multiple shipping centers. At this time, we do not offer the option to hold all items for same time delivery. Your expected delivery date is determined by the date of shipment from our shipping centers and the shipping preference you select. Your purchase of in-stock merchandise with ground shipping will be shipped within 24-48 hours. All air shipments will be shipped the same day on orders placed before 2 PM ET Special orders and out-of-stock merchandise may require additional time prior to shipment. If your item is shipped direct from the manufacturer, we have no control over when they may ship it. ClimateDoctors.com strives for your complete satisfaction. Should you find the need to return an item to us, we will do our best to assist you. Please note that our products include a manufacturer’s warranty. If you are unsatisfied with your purchase, we will be happy to work between you and the manufacturer to cover the purchased item under the company’s warranty as specified. Please read the following policies and information before you begin the return process. If you find that a return is appropriate, begin by requesting a Return Merchandise Authorization (RMA) number by calling or writing ClimateDoctors.com. You will need to include your RMA number and form with your return package. Merchandise returned without an RMA number will not be accepted. Request your Return Merchandise Authorization number (RMA); see above for details. Both the original shipping fees and return shipping fees will be the buyer’s responsibility. Print, complete, and include the warranty form, and include a copy of your invoice. Include all original manufacturer boxes with the original UPC code, packing materials, all manuals, blank warranty cards, accessories, and any other documentation included with the original shipment. Wrong, Damaged, or Unwanted Item? If you receive an item other than what you've ordered, contact us and we will arrange to pick up the item at our cost and work fast to send you the correct merchandise. Domestic: if an item is damaged in shipping, then we will ship a replacement item once it has been returned. International: we will assist in the process of filing a claim and getting replacement product shipped quickly. All items other than electrical items may be returned at the discretion of Climate Doctors.com within 14 days of the order ship date. All returns are subject to a 20% processing fee. Original shipping fees and return shipping fees are the buyer's responsibility and are non-refundable. Please note: Items returned must be clean, in original packaging, and re-sellable. Special order items may not be returnable, so please inquire when ordering items not listed as stock. Packages refused by the recipient do not terminate or void our return policy.